So you can listen to music the way it’s meant to be heard, Logitech has launched its new MetroFi 170 and MetroFi 220 noise-isolating earphones, which deliver customized comfort that’s perfect for listening to music on an iPod. MetroFi noise-isolating earphones use silicone ear-cushions that are soft enough to conform to the unique shape of your ear canal, yet strong enough to help create exceptionally accurate sound quality. From the lush timbres of your favorite pop vocalist and the bass-heavy thump of the latest hip-hop hit to the rich palette of symphonic music and the bright percussion of your favorite world beats, MetroFi earphones transform the MP3s on your MP3 player into musical magic. 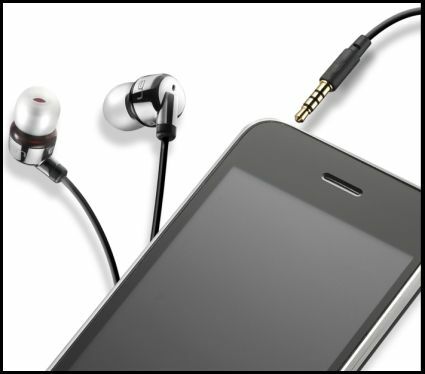 All MetroFi earphones are compatible with any iPod digital device, MP3 player or laptop with a standard 3.5 mm jack. The earphones are also available in iPhone- and BlackBerry- compatible models – the MetroFi 170vi and MetroFi 220vi – complete with voice-integrated technology. For hands-free calling, the earphones offer a miniature high-performance microphone that lets you easily switch between making calls and enjoying music and video on your iPhone or BlackBerry. Answering and ending calls is as easy as pushing a button.